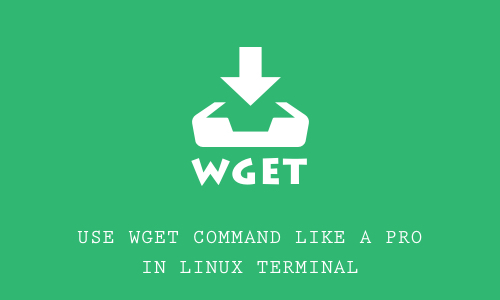 wget, the name is derived from the world wide web and get. This command is useful when we want to download a file (or a website) to your pc. We can download resources (pdf, mp3, mp4, etc) on the internet. If your file is too large, the network corrupted, use "-c"
This command can be used to load any website to your computer. With the https site, if you don't want to check the certification, please add "- no-check-certificate"
With some links, you can not browse (the robots.txt file disallowed) --> add the "-e robots = off"
"--user-agent="Mozilla/5.0 (iPhone; U; CPU iPhone OS 4_0 like Mac OS X; en-us) AppleWebKit/532.9 (KHTML, like Gecko) Version/4.0.5 Mobile/8A293 Safari/6531.22.7""
If you do not want to download the file with some extensions, use "--reject"
If you want to logged-in before download, create a session cookie file, then load the file and browse. $ # Log in to the server. This can be done only once. $ # Now grab the page or pages we care about.